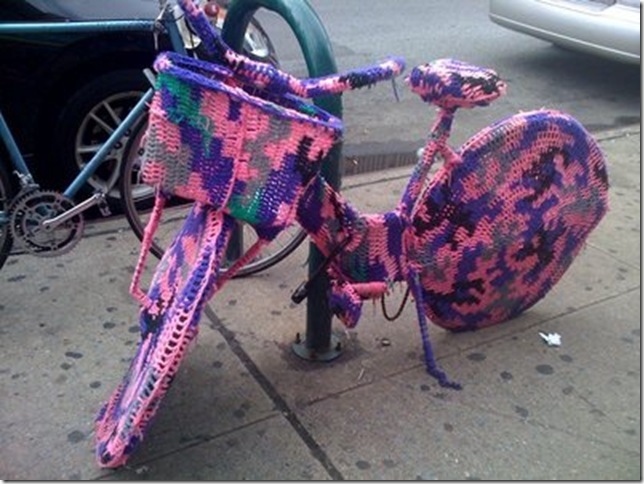 Crochet & Bikes Go Together, Like a Horse and Carriage …. Aha. And yooouuu thought that crochet was only for your body and your home? Not so. See here!!! A few lovely ideas on how to put that little crochet needle to good use for your bike. Here is a hip and happy crochet cover for your back wheel to protect your long Fall coat, and a couple of equally hip and happy crochet bike seat covers. 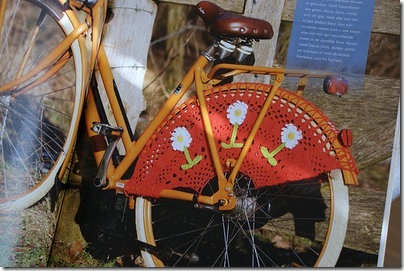 If you can read Dutch, here is a free tutorial for this darling bike skirt (literal translation: coat protector). If you are really keen to make one, and don’t read Dutch, leave me a comment below and I’ll see that I’ll translate it from Dutch to English for you. It won’t be an easy translation as their crochet abbreviations and terms are quite different to ours! So, you have to really want to make this…. A great way to use up some left over yarn, and a nice way to create a soft but funky seat for your bike. 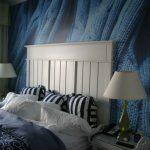 You can make this in a single color, you can use yarn that changes color as the first picture shows, or you can alternate colors to get a stripey version, as the second picture shows. You can’t see very clearly, but the crochet flower is simply added at the end. Again, if you are ‘seriously’ interested, I can have this pattern translated for you. Or, maybe easier, I can actually make it for you and give you my crochet pattern. This translation will have to be in Fall, though. 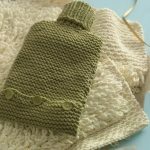 There are tons of really cool crochet patterns on this blog now. 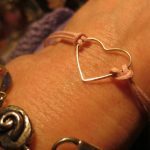 Just check out our ‘crochet’ category link on the right, and see what you can you like. 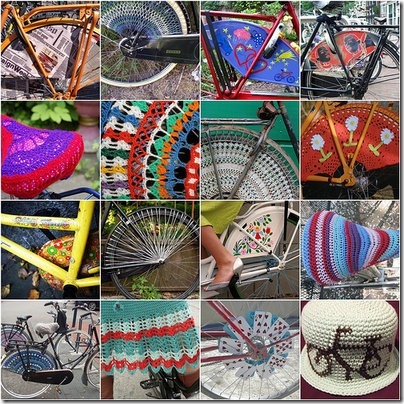 I love your cool ideas-I never thought I could knit stuff for my bike-I love biking! 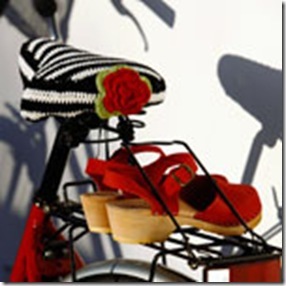 I LOVE the black and white bike seat cover w/ the red flower!! It is so cool. Would you be willing to make one and sell to me? If so, how much would it be? I would love to give as a gift! Thanks so much!! Stopping by from BNOTP. I LOVE the black and white with red! So cute! NOw I just need a bike. . . 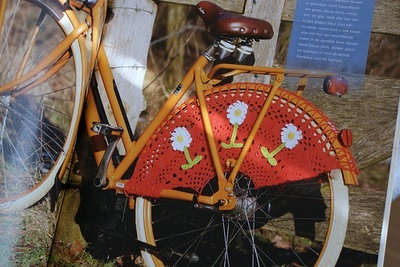 I would love to have the Happy Red Bike Skirt With Flowers instructions translated into English for me. I would greatly appreciate it. I so want this for my bike. I don’t have a car and I depend on my bike to get me around. This would blow my neighbors away when I ride down the street with my special bike Establishment. Thank you so much in advance. 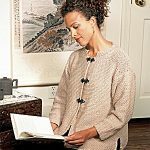 I’ve been looking everywhere for a coat protector pattern and this is the only site I’ve found. Problem: I don’t read Dutch. Please can you e-mail me the translated pattern? English please? Thank you sooo much.